CVS VALENTINE’S DAY CANDY PROGRAM - Phoenix Creative Co.
Valentine’s Day is a day for love and candy! And for this holiday timeframe, SOUR PATCH KIDS and SWEDISH FISH wanted CVS shoppers to know about it. 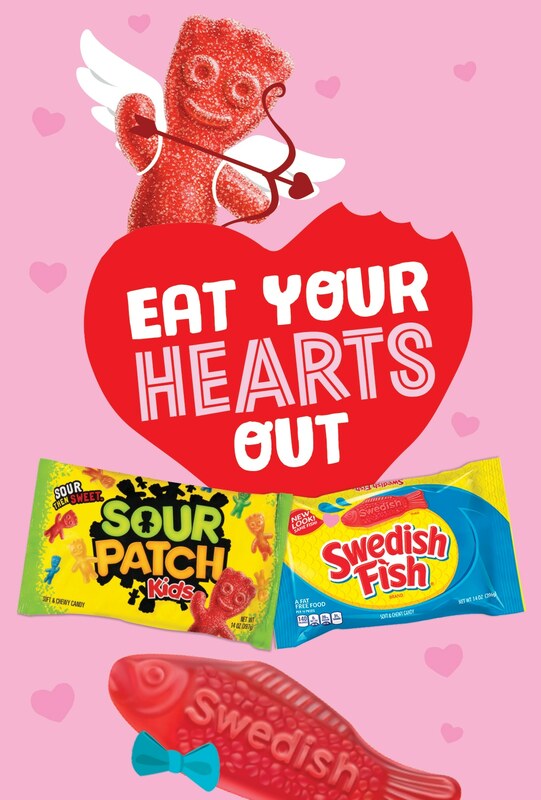 To push awareness of SOUR PATCH KIDS and SWEDISH FISH available at CVS during the Valentine’s Day holiday, a digital campaign was created. With fun and lively banner ads and a featured brand, page shoppers were drawn into CVS to buy SOUR PATCH KIDS and SWEDISH FISH for their Valentine.